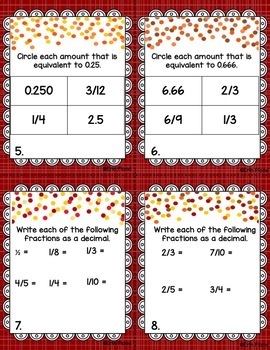 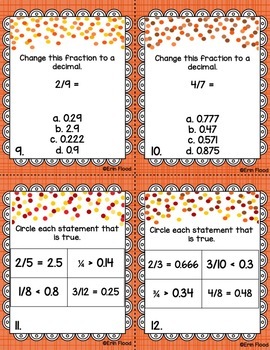 These task cards will help your students to practice recognizing and naming fractions in their equivalent decimal form and vise versa, and will help students to compare and order fractions and decimals in a given set from least to greatest and greatest to least. 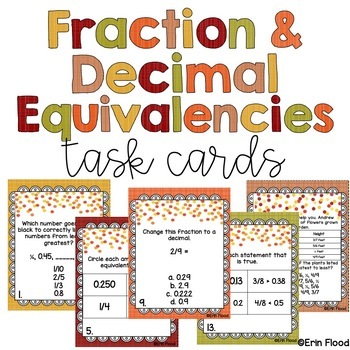 These task cards align with Virginia SOL 5.2. 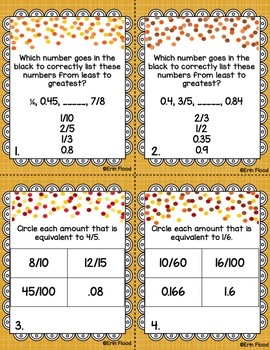 Comes with a student recording sheet and teacher answer key.